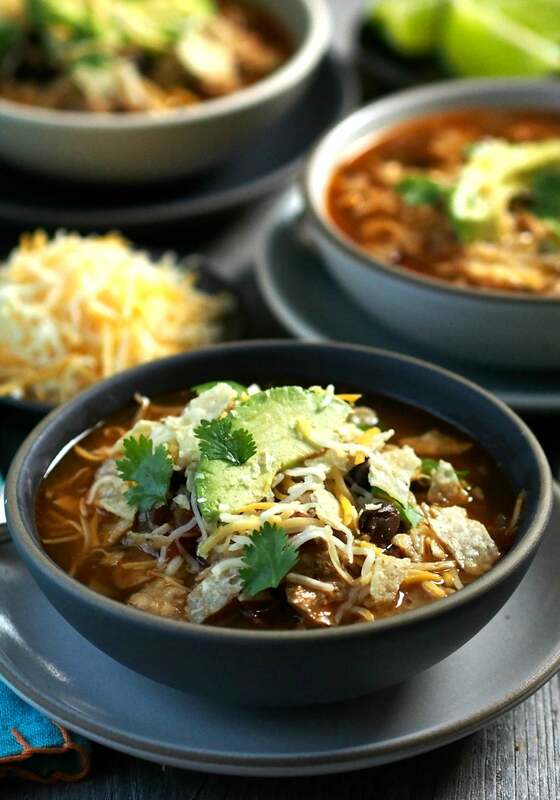 Hello, Chicken Tortilla Soup here. 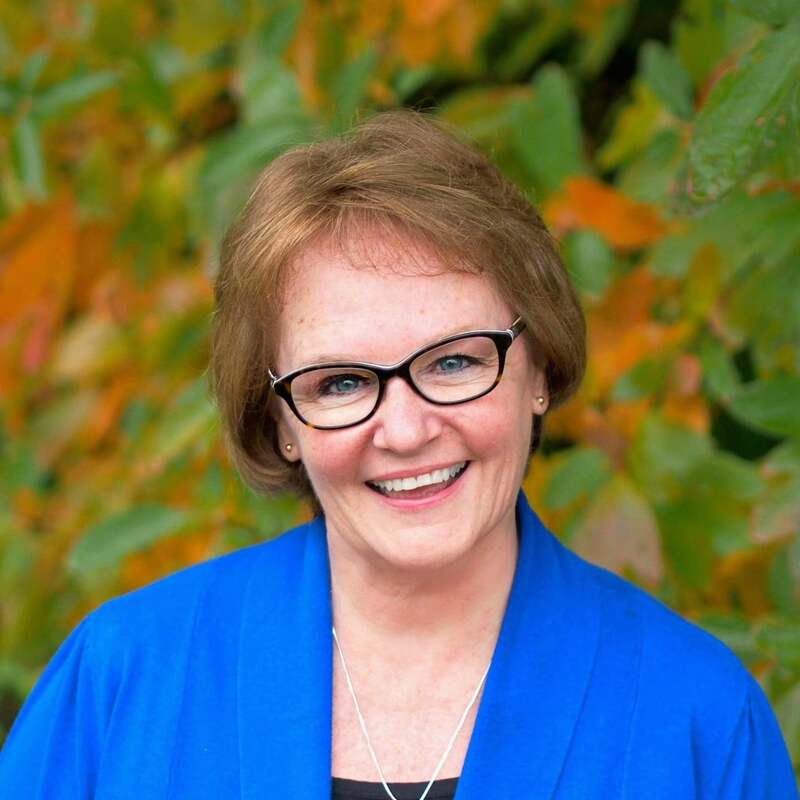 It’s about time Susie asked me to write her blog. I understand why it has taken so long; I get it! I’ve lived as second fiddle to the other chicken soup my whole life. Heck, I know the other soup is special – there is an entire book series named after it. Why does chicken soup with noodles get all the attention? Why is it assumed only that chicken soup has magical powers that heal the body, heart, mind and soul? Also, why is it my food blogger friend featured her incredible Chicken Noodle Soup a full year before she even mentioned my name? 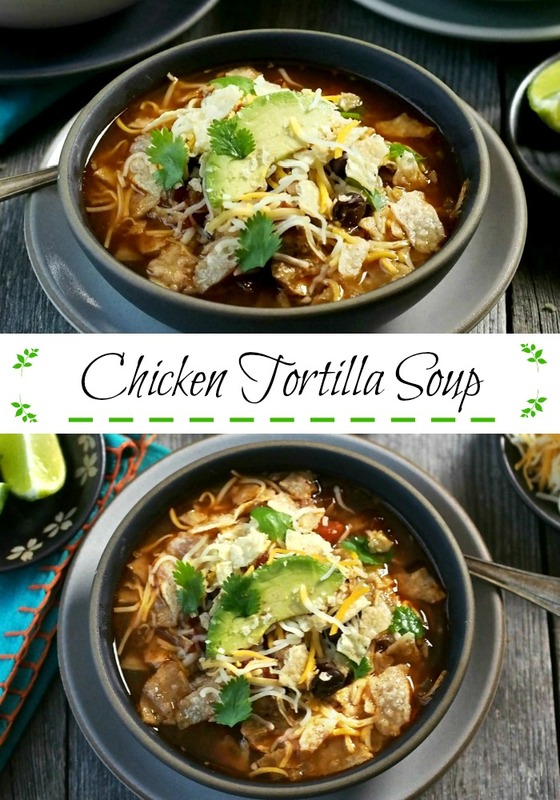 Well, my name is Chicken Tortilla Soup and I’m here to talk about ME! I’m gorgeous, colorful, fragrant, saucy and spicy. I’m made with tender chicken, beans, corn, Worcestershire, tomatoes, tortilla chips and the perfect blend of seasonings. I’m at my best when dolled-up with sour cream, a squirt of lime juice, cheese, a slice of avocado and, my best friend, fresh cilantro. Oh yeah, there is one more thing to say – I am scrumptious!! I just searched the 250+ titles of that chicken soup book series and found no mention of me. Aargh!!! 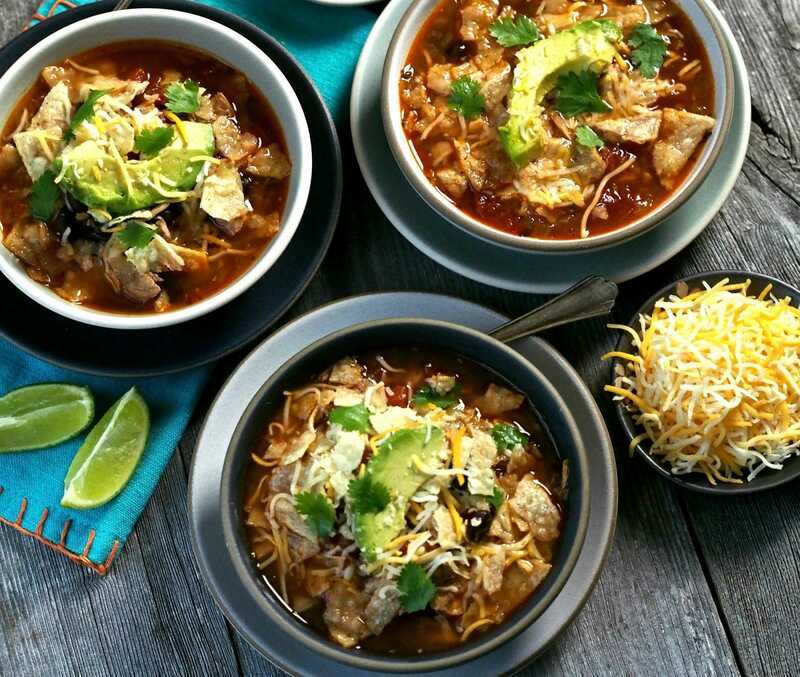 All those books should be named Chicken Tortilla Soup for the Soul. In my opinion, tortilla chips are way better for you than noodles. 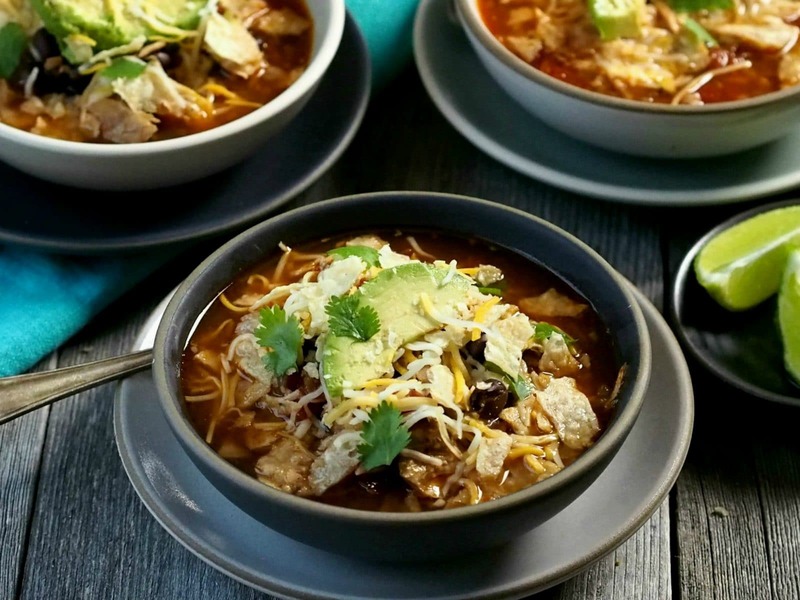 This soup has layers of flavor and a little heat. 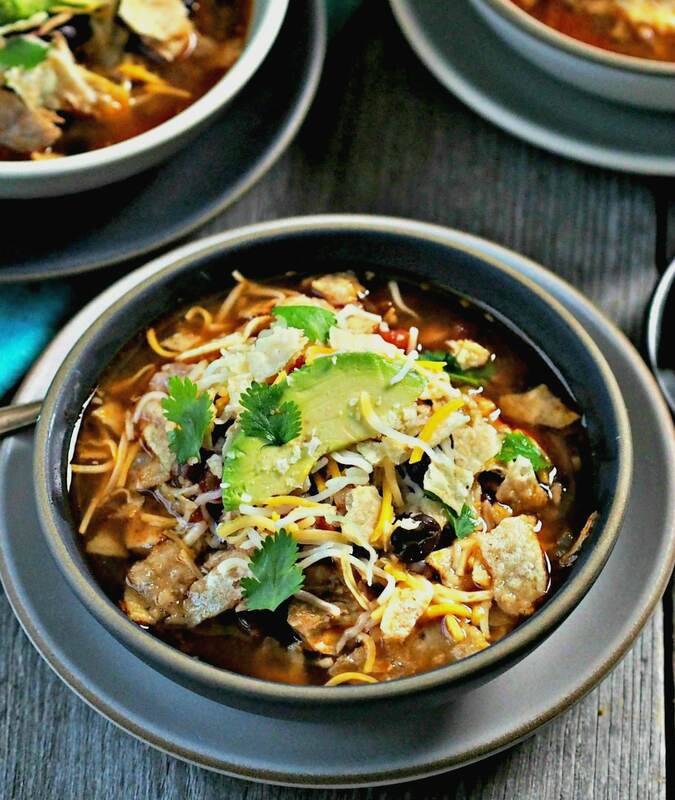 It isn't a traditional Chicken Tortilla Soup, but it is superb. 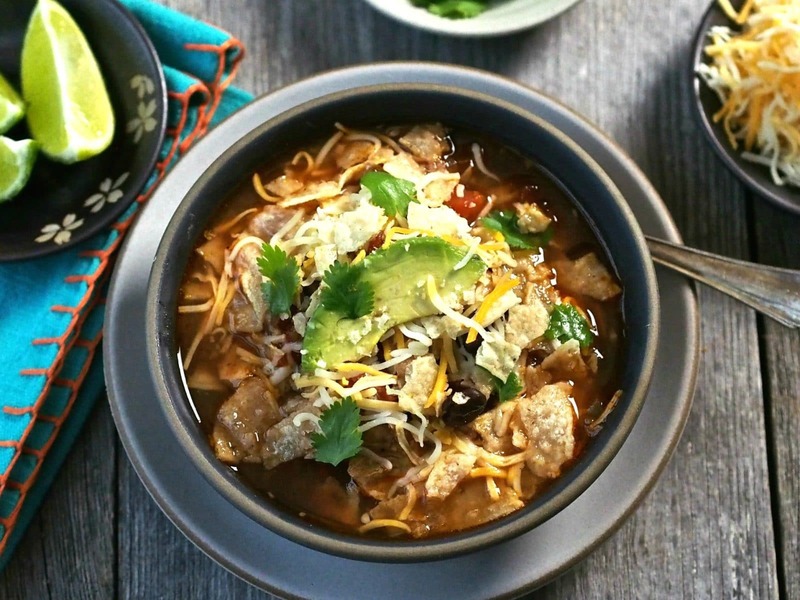 It is meant to be eaten with crushed tortilla chips and isn't good without them. If you love spicy soup, add 2 cans HOT Rotel style tomatoes or 1 teaspoon crushed red pepper flakes. It is best made with seasoned and seared chicken thighs, but is also delicious using rotisserie chicken meat. 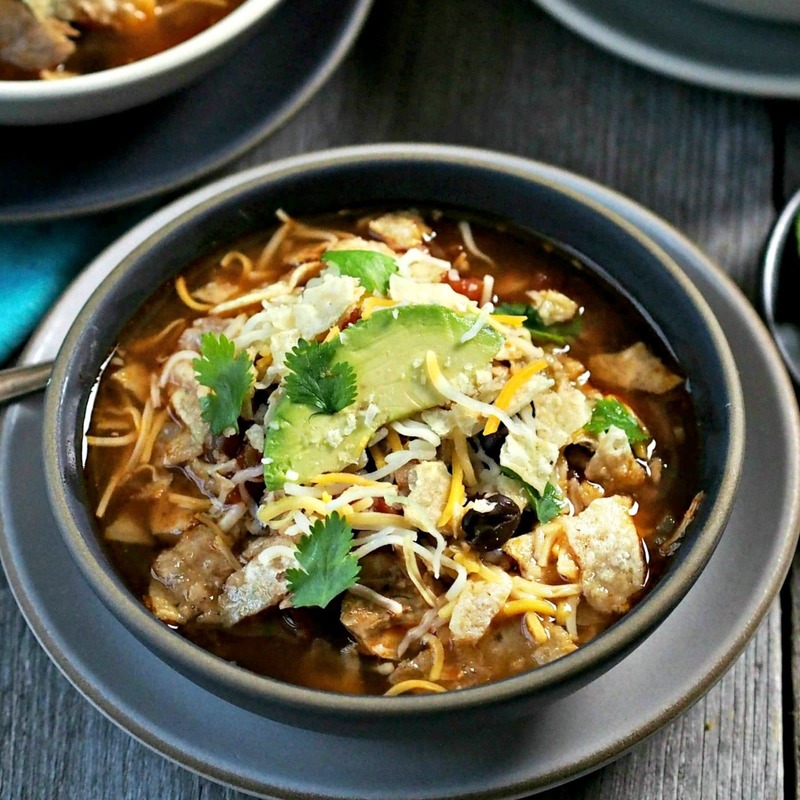 NOTE: This soup is meant to be eaten with tortilla strips or tortilla chips crushed in the soup. It isn’t tasty without the strips/chips. 6 boneless skinless chicken thighs or the meat from a rotisserie chicken. Seasoning made with 1 teaspoon chili powder, 1/2 teaspoon smoked paprika, 1/2 teaspoon cumin, 1 teaspoon kosher salt & 1/2 teaspoon black pepper. If using chicken thighs, season all sides of the thighs with the seasoning mix. Heat a skillet over medium heat and add 2 tablespoons oil and 2 tablespoons butter. Heat until the oil shimmers and add the seasoned thighs. Cook the thighs on both sides for 3 minutes and transfer to a cutting board. Cut the chicken into 1-inch pieces. If using rotisserie chicken meat, remove the chicken meat from the bones and cut it into cubes. Heat oil and butter over medium heat in a large Dutch oven. Add onion and cook until translucent, then add garlic and cook 1 minute more. Add all soup ingredients except chips, cheese and sour cream. 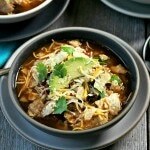 To serve, add crushed tortilla chips (or strips) to each soup bowl and ladle the soup on top. Add a squeeze of lime and fresh cilantro. 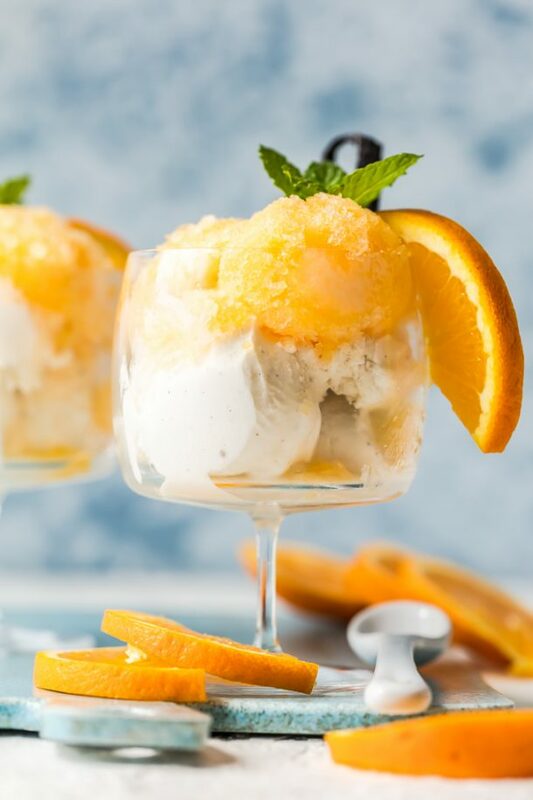 Serve with your other favorite garnishes. Stack 3 corn tortillas and cut in half. Slice the halved tortillas crosswise into ¼” strips. Heat a skillet over medium heat until hot and add 1 tablespoon canola or vegetable oil. Heat the oil until it shimmers and add the tortilla strips. Stir often until the strips are golden and crispy. Transfer the strips to a paper towel-lined plate to dry. Sprinkle with kosher salt. Set aside until the soup is ready to serve. *Note: If smoother soup is desired, process tomatoes in the blender (or with an immersion blender) to puree before adding to other ingredients. One of the best recipes EVER!